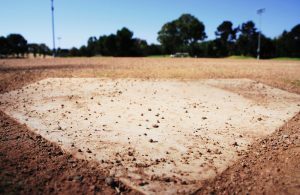 Due to the threat of inclement weather this weekend, Austin Peay and Morehead State will open their Ohio Valley Conference series with a 2 p.m., Friday doubleheader. The Govs and Eagles will tentatively play a 1 p.m., Saturday contest to conclude the series, weather permitting. 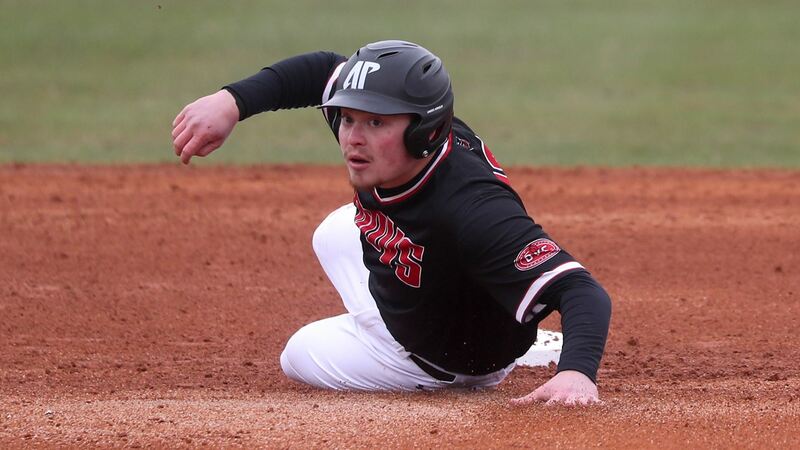 Austin Peay’s baseball team starts the second half of its Ohio Valley Conference schedule when it hosts co-leader Morehead State in a three-game league series, Friday-Saturday, at Joe Maynard Field at Raymond C. Hand Park. 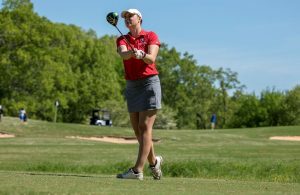 Austin Peay slipped to fifth in a tightly-packed OVC race that enters the sixth of 11 weeks. The Govs are one-game behind Belmont and one-half game behind a group of three teams, including Morehead State, tied with Belmont based on league win percentage. The weekend series also sees the Governors continue their five-game homestand, which they opened with a victory against Missouri Valley Conference-leading Evansville, Tuesday. In OVC play, Austin Peay enters this weekend ranked fourth in ERA (4.08) and continues its climb in batting average (8th, .265). Morehead State returns to the road after sweeping its five-game homestand. The Eagles swept SIUE in a three-game OVC set then dominated Alabama A&M in a pair of midweek games. MSU leads the OVC in batting average (.318) and ranks second in ERA (3.87) in league action entering the weekend. Left-hander Josh Rye had his best performance of 2019 in the Govs only win at Eastern Kentucky last weekend, going a career-long 7.2 innings and struck out a season-high eight batters. Since moving into the Friday night role, Rye has posted a 3-1 record, 2.28 ERA with 23 strikeouts in 23.2 innings while limiting opponents to a .210 batting average. Lefty Jacques Pucheu suffered his roughest outing of 2019 at Eastern Kentucky, allowing season highs in hits, runs, and walks. Despite the rough outing, Pucheu remains ranked fourth among OVC pitchers in ERA (2.39), second in strikeouts (62) and leads the league in WHIP (0.90) and hits allowed per nine innings (5.51). Right-hander Brandon Vial was held to his shortest start of the 2019 campaign at Eastern Kentucky, surrendering season highs in hits and runs. Vial is ranked eighth among OVC pitchers in ERA (3.37) and leads all OVC hurlers with five pickoffs. Fifteen different Governors have started a game in the season’s first 30 games. Only two players have started every game in 2019: center fielder Garrett Spain and utility man Parker Phillips. Senior catcher David Martinez moved into the No. 3 spot in the batting order against Belmont and has batted .433 (13-30) with three homers and 10 RBI. His .391 batting average is 13th among NCAA catchers (50th overall) and fourth among all OVC hitters. Center fielder Garrett Spain has reached base in all 31 games as a Governor. He leads all OVC freshmen in batting average (.342), home runs (3), RBI (27) and runs scored (29). Spain also is ranked 14th among Division I freshmen in batting average. Junior utility man Parker Phillips became the first Governors batter to hit 10 or more home runs three times during their career, hitting his 10th of 2019 against Evansville, Tuesday. 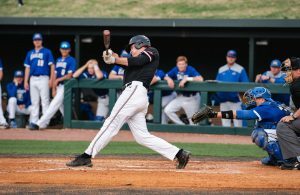 Phillips is APSU’s career leader in home runs (41) and times hit by pitch (46). Sophomore Bobby Head has a hit in 12 of his last 13 games. He was batting .333 (14-for-42) during the streak and raised his batting average 95 points. Head began the 13-game stretch with an 11-game hit streak that included a seven-game streak with an RBI. Freshman designated hitter Matt Joslin battled through a tough weekend at Eastern Kentucky, going 1-for-8 at the plate. However, his lone hit was a solo home run in the opener, his second of the season. Redshirt senior Garrett Kueber has made 18 consecutive starts at shortstop and coincidentally has a hit in 17 of those 18 games. He has batted .292 (21-72) during the streak, primarily as the Govs No. 2 hitter. Freshman Gino Avros has reached base safely in his last 12 games, posting nine hits and 10 walks during the streak. Additionally, has scored 20 runs over his previous 17 games. Junior outfielder Malcolm Tipler has reached base safely in 17 consecutive games, dating back to the Tennessee Tech series opener, posting 13 hits and 13 walks. Sophomore first baseman John McDonald had a hit in each game of the Eastern Kentucky series, including his season’s first home run. His .400 batting average was second-best among the Govs hitters in Richmond. Junior first baseman Andrew Flaherty started against Evansville, Tuesday, and went 3-for-4 with two RBI in his first start at first since March 11. Senior outfielder Aaron Campbell and junior outfielder Tyler Hubbard have both been late defensive substitutes for the Govs during the past three weeks. The Govs own a 58-36 advantage in the series with the Eagles, including a 34-14 mark in Clarksville. Austin Peay won last season’s league set, 2-1, at Morehead State. The Eagles have won the last two OVC series played in Clarksville (2015 & 2017).